As part of the march to the ultimate pony car’s 50th anniversary, Ford has been going back into the vault and unearthing some of its most interesting and unfairly forgotten Mustangs for public consumption. 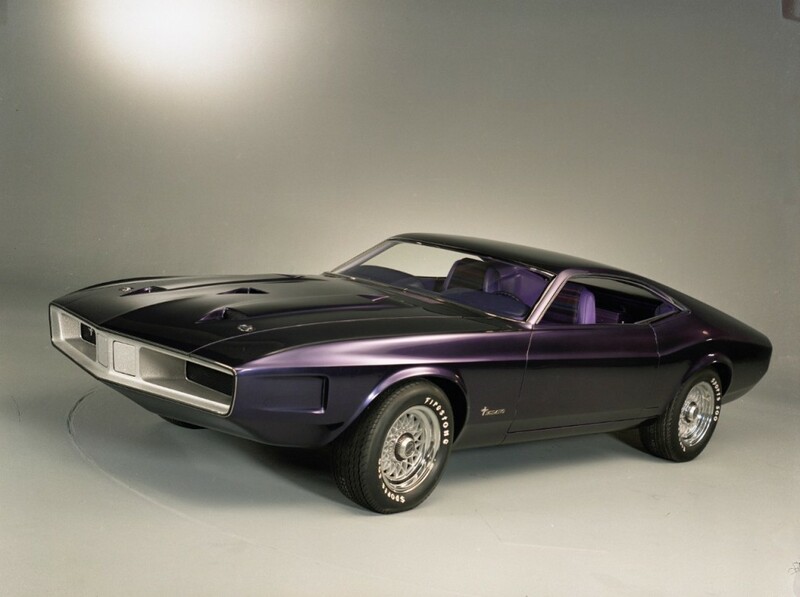 One of those old models that is deservedly getting one more moment in the limelight is the 1970 Mustang Milano Concept. …it was so ‘70s that it had purple mohair carpet on the floor. Stylistic elements of the Mustang Milano Concept were incorporated in later Ford vehicles, including the same 1974 Falcon XB Coupe that served as Mad Max’s Interceptor. Fortunately, they opted not to keep the Ultra Violent hue; otherwise, we suspect Max wouldn’t have needed Lord Humungus’ urging to walk away in favor of a different colored car.